Home » NLP School blog » NLP’s going mainstream… or is it? This week on the NLP School blog we are so lucky to have Muriel from Lumier Coaching and PPD Learning write a guest blog for us! Today she talks about how NLP has hit the mainstream… or has it? Has anyone else noticed how much NLP surrounds us now? Everywhere I go I hear NLP principles and approaches being laid out as best practice. In education, human resources, management, leadership, communication industries, non-NLP coaching and even some conventional therapies. I constantly hear people describing and prescribing variations on many core NLP processes and practices. We’ve almost become victims of our own success. 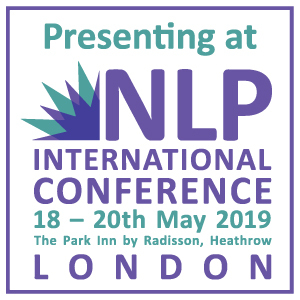 NLP tools, developed from modelling excellence, and practised skilfully are now recognised as being so effective they have been absorbed and integrated into multiple disciplines such that they are now accepted as conventional wisdom and best practice. So much so that apart from those of us who have studied NLP, the original source has become virtually invisible. In terms of progress in teaching and developing people skills, this has been a major leap forward. For those of us in the NLP community, it reinforces what we all already knew, that NLP is an amazing force for change and improvement. What is unfortunate, is that NLP gets none of the credit. Worse than that, the general perception of NLP seems to have morphed into some sort of caricature that doesn’t come anywhere near the amazing force for positive change that it is. 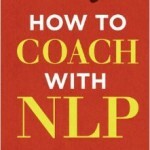 Is the NLP we see in the mainstream really NLP? For example, while chatting with colleagues the other day, someone mentioned how NLP had recently been mentioned in a couple of high profile dramas, “Kingsman: The Secret Service” and the BBC’s “Inside No 9”. Great we thought, NLP has arrived! It’s mainstream now… or is it? This gives you an idea of how some people’s perception of NLP is so far removed from the core principles of NLP. To work with someone using NLP is to be attuned and sensitive to what they need, not be manipulative and uncaring. Again, to hear this and be told that this is NLP is misleading and disheartening. I find it excruciating to see NLP packaged as though it is this manipulative bag of tricks. When I learned NLP it was like a curtain being drawn back revealing a world previously invisible to me. I discovered the many ways we all create and maintain our problems, found out about how our language is so rich with information about the structure of our internal experience that this allows us to effect change conversationally. I learned how to model skills, talents and behaviours and to use that to develop more elegant and effective strategies to help myself and others move forward in a useful, integrated and congruent way. I learned how to communicate more effectively and what to do when working with people who thought very differently from me. I was introduced to tools and strategies for goal setting, motivation, belief change, state management, congruence, alignment, rapport and systems thinking. I also developed more respect for the solutions and strategies that people create to meet their challenges in life and how resourceful we all truly are. I often describe NLP as a spectrum where at one end you can pick up a book and learn some basic tools, which you can use to help yourself and ‘do’ to other people, all the way up to an integrated, skilful NLP used with mastery and artistry. At this top end practitioners use their skills with self-awareness and sensitivity. A good NLP practitioner is a systemic thinker, constantly calibrating how their client is responding to the ethical change work they are doing with them. 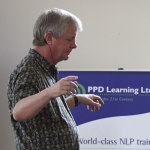 A high-quality NLP training programme is designed to make the learning of every aspect of NLP an experiential, personal development journey that builds skills, confidence and competence. 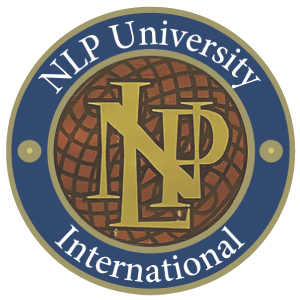 I have been a student of NLP for over 10 years and am fortunate to be able to continue to study this subject with some of the best trainers and practitioners in the business. 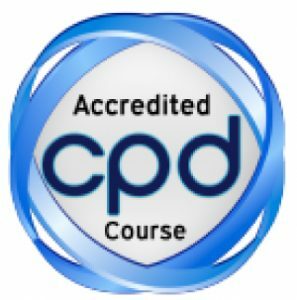 I offer many training programmes myself, and although only a few are specifically badged as NLP, all of them are firmly based on good NLP practices. So, has NLP gone mainstream? Absolutely, without a doubt, yes. It’s just that currently it seems as though many people working with certain kinds of effective communication skills don’t realise that a lot of what they are doing is based on NLP! If you would like to hear more from Muriel, check out her website: www.lumiercoaching.co.uk.